Saturday saw the official end of the racing jumps season although with the muddy conditions resembling November's ground more than good flat racing ground around you could be forgiven for thinking we were just getting into the swing of things. It means that it's now time to concentrate on the flat season which is beginning to gear up, we've the 1000 & 2000 Gunieas next weekend & Newbury's Lockinge meeting in the middle of the month where we'll see the returning Frankel. For Sunday's racing we're looking across the Irish Sea to Navan where some of the big Irish trainers are running some real prospects, we think we've some good bets to fill the pockets before Monday's big betting heat with the Manchester derby in the Premier League. We see what is effectively an Oaks trial in the 3.25 Listed 1m 2f race for fillies & it looks like Aidan O'Brien's Kissed is the one to concentrate on here. O'Brien seems to have his string in mighty fine order striking with a third of his runners in the past two weeks & has picked up the winner's trophy in the last three Listed or better races he's had runners in. 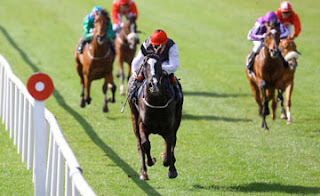 Kissed is by Galileo & out of a Darshaan mare so really should have the stamina to be a real Oaks contender & she should handle these testing conditions, not just because of her pedigree but because she also won her maiden impressively after travelling well in soft ground. Kissed's maiden saw her beat one of today's rivals Violet Lashes & that one has run to a good but not exceptional level of form since, they were miles clear of the rest that day back in October & Kissed could have won by more, she's the one with bags of improvement &is a certainty to confirm form with that rival. Aaraas has run in three Group 3's since winning her maiden & has an official rating of 98, she's run this year which is a positive but needs to run above that official mark to win here & isn't open to too much improvement. One that could improve & is rated the main danger is Cleofilia, she won a very good maiden back in August & the runner up (by a head) Coral Wave has gone on to be pretty decent winning a Listed & group 3 race since. Cleofilia is an obvious danger but we reckon that Kissed's breeding is better suited to this test with Cleofilia's sire Teofilo not as proven (obviously) as Galileo, Kissed really will take some beating here & at odds of 4/6 & bigger she should be backed heavily. 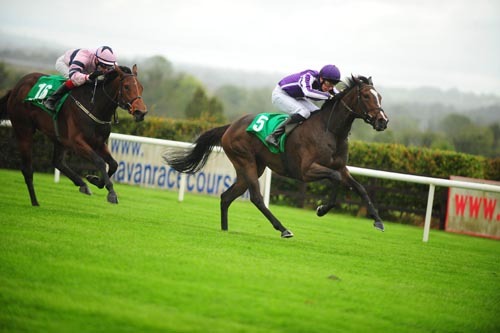 Another filly with a top chance is the versatile & mud loving Unaccompanied, she beat subsequent Breeders Cup winner St Nicholas Abbey at the Curragh over 1m 2f last year & the Grade One winning hurdler will take some stopping in the 5.35 over 3 furlongs further. Dermot Weld's filly is a high class sort & this type of distance is what she wants these days, she lost her last hurdle race but it was the red hot Champion Hurdle & she's had a break since. Chief rival looks to be O'Brien's Robin Hood who won on debut over 10 furlongs at the start of the season, beating Rising Wind comfortably, but then rather blew up when raced 10 days later at Cork & the step up in distance isn't certain to suit here. With Unaccompanied getting a pound in weight off of Robin Hood she's the one to back & any odds of Evens or better should be taken. Finally, in a three year old maiden race where only two of the runners have racecourse experience we're going to take a chance on the John Ox trained Karatash who has a likely pedigree being by Halling out of a King's Best mare. Karatash's mare was a decent type on the course, earning a rating of 94 & although winning on godd to firm she appeared to act on good to yielding ground & Halling seems to get stamina laden sorts, the Aga Khan's horses are all beautifully bred & he has two here but this one would be the first string with the underrated Johnny Murtagh on board. The likely favourite is going to be Father Of Science from the O'Brien yard, a colt with a similar pedigree to our earlier pick Kissed, being by alileo out of a Darshaan mare, this one might just be a little too short though & sometimes the money flows in for these Ballydoyle types without any concrete knowledge of how well they've been working at home. We won't know the odds for Karatash until tomorrow but at anything bigger than 3/1 we'd say a small wager wouldn't be the worst idea.